Like most issues pertaining to our homes, from the paint to the plumbing, troubles with the foundation comes under many guises. Unlike with paint, plumbing and other repairs, most homeowners assume there can be only one issue with a home’s foundation: a crack. 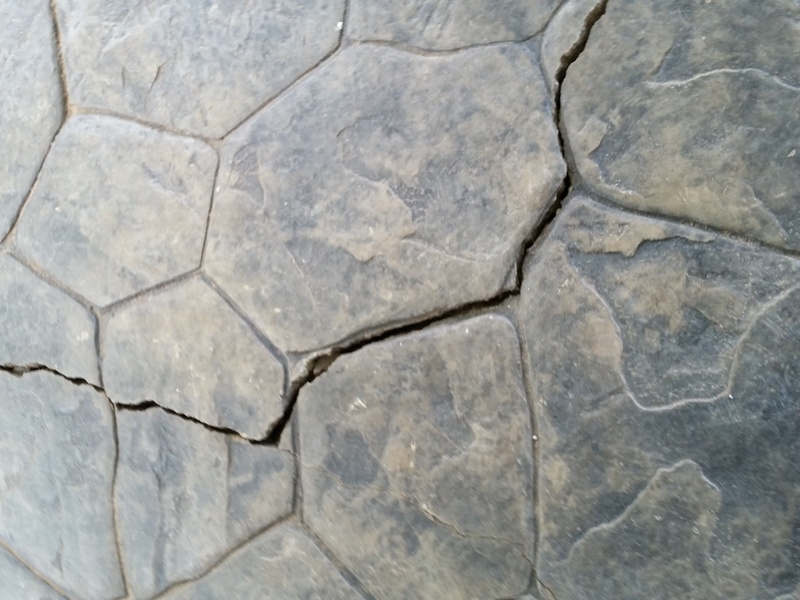 Truth is, there are many different types of cracks and signs of settling which can occur in many places, and these issues should receive the appropriate repair. The other vitally important truth is that failing to address foundation settling can lead to some of the costliest expenses our homes can incur. The discovery of cracks can also end a pending home sale in a snap. Costly assumptions can be made about settling. Most homeowners believe a house will fully settle within the first few years after it has been built, but the truth is that foundation settling can occur at any point within the life of a home. It is often a result of movement in the soils a house rests upon. Common signs of foundation settlement can include cracks in bricks, mortar joints, and in the sheetrock of interior walls. Foundation settling can cause difficulties with operating doors and windows. 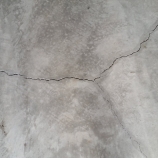 Concrete slab floors can also sink, slope, and crack over time. 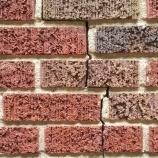 These signs of foundation settling can strike fear in the homeowner, but they can often be repaired at lower cost and with less inconvenience than most people imagine. 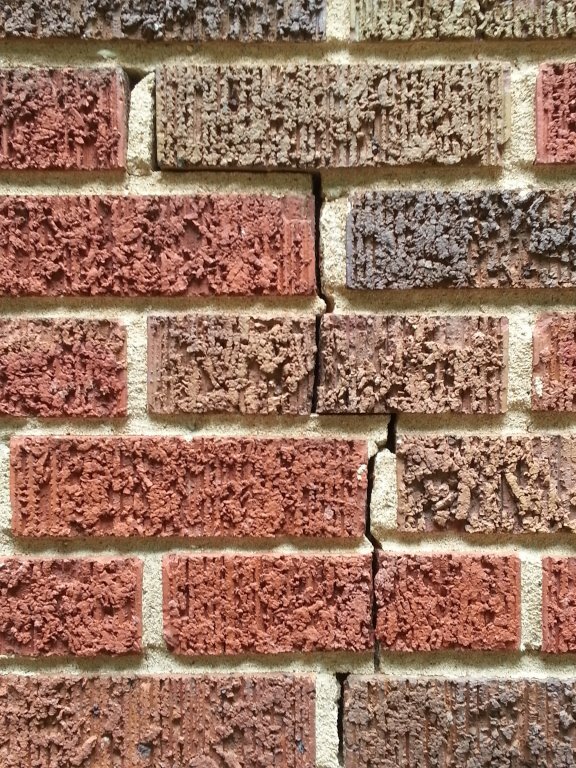 Cracks in bricks and mortar are not strangers to homes built on a basement foundation. Basements are common culprits when it comes to cracking or bowing walls. 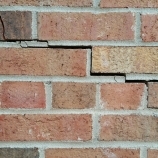 You often see fissures in concrete masonry blocks, but brick and poured-in-place concrete are also vulnerable. Although codes strictly dictate the strength of these foundation and retaining walls, a shift in backfilled soil can lead to serious issues. The excess pressure is frequently revealed in horizontal wall cracks. Today, carbon fiber reinforcement straps or wall anchors can often successfully treat these problems. Homeowners also tend to assume that sticking doors and windows are a quirky reality of an older home. In fact a door or window that no longer closes properly can often be a sign of movement in the foundation or the home itself. Following the discovery of an uncooperative door, you should always conduct a careful inspection of the sheetrock, drywall, or plaster materials. Sloping floors and even exterior cracks and separations also indicate a shifting foundation. 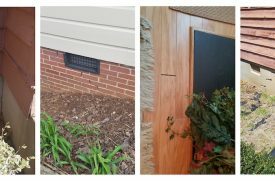 Interior wall cracks often receive the same response as the sticky door or window, chalked up to being an inconvenient sign of a home’s maturity. While this may well be the case, cracks and separations may indicate movement in the entire structure, a situation that you cannot solve with spackling and a can of paint. As with sticking doors and windows, if you see cracks in interior walls, check for the same signs elsewhere. Chimneys can also settle, usually pulling away from the home’s exterior. Interestingly, chimney movement is most often caused by unstable soil and not by more visible problems. Moreover, chimney cracks and settling occur much more regularly than homeowners realize. The results can be quite dangerous. Swift and permanent repair to a leaning chimney is often possible, though, especially when the problem is caught early. Whether it’s a leaning chimney, interior wall crack, or other symptom, such problems should prompt homeowners and realtors alike to follow up with an expert foundation repair contractor. Even when the repair is relatively minor, it pays to choose an experienced and well-reviewed foundation repair company. Choose a less-experienced firm and the problems may only intensify. Make the right choice and a potentially colossal problem can be solved efficiently and economically, and the repairs will last for years to come.